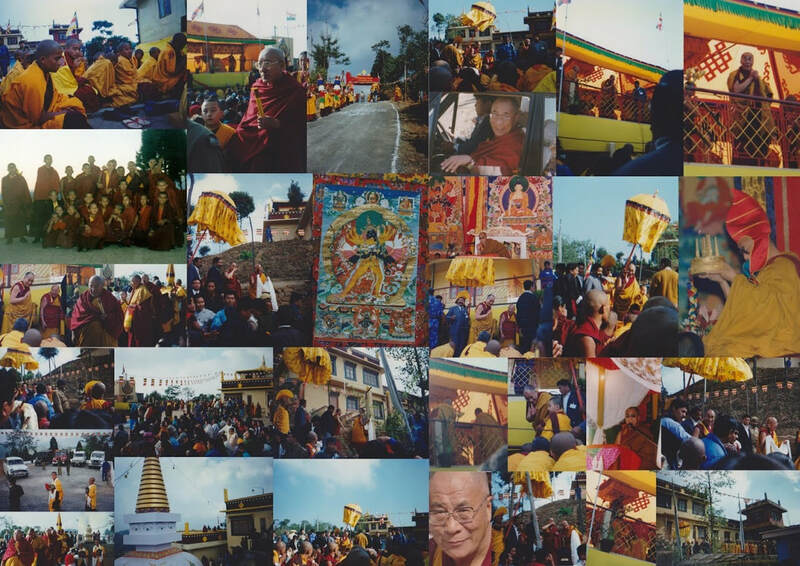 The name Karma Dechen Choling – The Dharma Torch of Great Bliss. was bestowed on this retreat house with blessings by Bokar Rinpoche with the far reaching view to benefit sentient beings as limitless as the expanse of space. This place came about, through a mind in despair of finding a way out of sufferance, meeting with a Master of excellence Bokar Rinpoche, with the power of teaching subtly, as stroking with a feather. Karma Dechen Choling, Simply offers space for those practitioners with personal instructions to retreat. We also host visiting teachers. We had the fortune of the visit of four monks together with Choje Lama Phuntsok from Karma Lekshey Ling Monastery in Nepal to consecrate the new Stupa In September 2011. ﻿STUPA IS THE EXPRESSION OF OUR TRUE NATURE. Bokar Rinpoche passed into parinirvana on Tuesday, 17th August 2004.